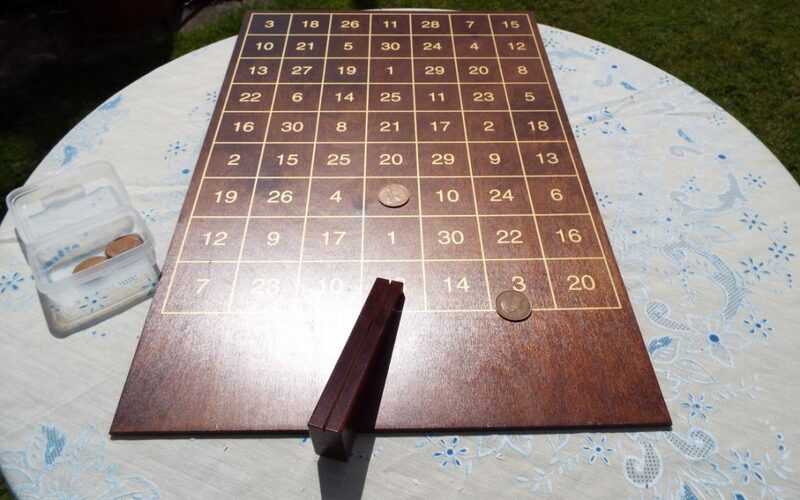 This game requires a table but includes the playing board, old pennies and a chute. 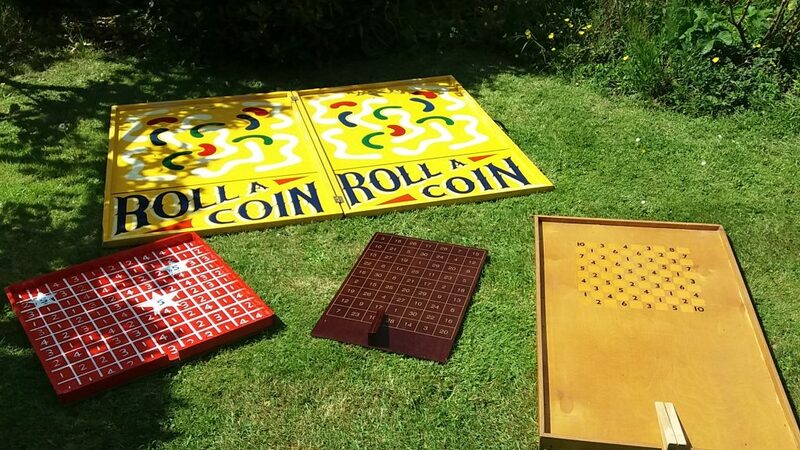 Players roll a coin down the chute. Make up your own rules but normally winner has the highest score.